Well, this is neat. Microsoft is starting a documentary series that will run on Xbox 360 and Xbox One next year and it's got a pretty good name behind it and a good topic for the first installment. The series will be produced by Jonathan Chinn and Simon Chinn. I don't know Jonathan's work—30 Days, American High—but I've loved Simon's work—Man on Wire and Searching for Sugar Man. I can say that the latter's documentaries are great. 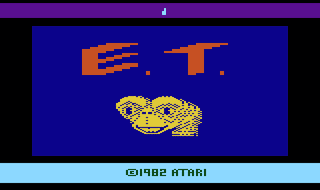 The first documentary in the series will be about Fuel Entertainment's planned dig of the Arizona New Mexico landfill where cartridges of Atari's E.T. game are supposedly buried. It'll be directed by Zak Penn, who has written for various super-hero movies. I don't have much interest in watching Microsoft's planned Halo series, but I'll watch this. Something for everyone!